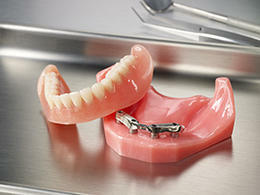 Overdenture can be made to fit over a bar or to work with attachments. For edentulous patients desiring a stable, aesthetic prosthesis, the Implant Bar Overdenture could be the perfect choice to help improve retention, function and speech. 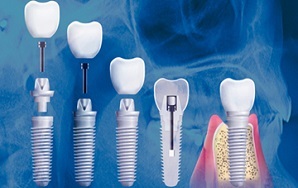 A Bar Overdenture connects the patient’s implants to each other via a fabricated bar that helps protect the individual implants by spreading out the bite load. The complete denture then fits securely over the implants for great stability. D6920 - Connector bar - A device attached to a fixed partial denture retainer or coping which serves to stabilize and anchor a removable overdenture prosthesis. 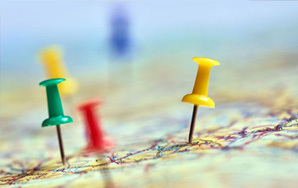 NDX has extensive experience working with direct-to-implant attachments, including the popular Zest Anchor locator abutments. Direct attachments can be a more-affordable option for non-splinted restorations. D5862 - Precision attachment, by report - Each set of male and female components should be reported as one precision attachment. Describe the type of attachment used.